Can Dog Breed Bans Prevent Dog Bites? 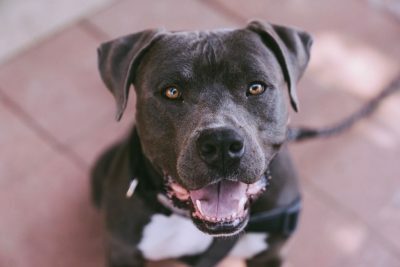 In response to an increasing rate of dog bites, many cities across the U.S. have adopted Breed Specific Laws (BSL’s). These laws ban or restrict certain dog breeds and are intended to help lower the overall number of attacks, but are they really working? Washington has some of the strictest dog breed bans in the country. There are over 27 cities who have outright banned certain breeds (e.g., Pitbull’s) or have adopted what’s known as “breed-neutral ordinances,” which looks more at the behavior of the dog than its breed. Strict liability laws are also imposed regardless of the breed of the animal. This means that a dog owner could be held liable the first time their dog bites irrespective as to whether or not the owner was acting in a negligent mannerism. The Insurance Information Institute (III) released a report that shows around 4.5 million people are bitten by dogs every year. Due to the increased number of dog bites, insurance claims in Washington reached an all-time high of $13.7 million in 2017. The report also mentioned that the average payout per claim was around $37,051 in 2017, which is $3,821 more than the year prior. However, interestingly enough, a portion of the injury claims did not originate from dog bites, but rather the animals chasing after and knocking over children, bicyclists, and the elderly. The vast majority of dog bite financial liability expenses are usually covered by homeowner’s insurance with a limit of anywhere from $100k to $300k. Dog owners are responsible for any monetary damages over the maximum amount. Do Dog Breed Bans Really Work? While it’s true that certain dog bloodlines, such as Pitbull’s, Dobermans, Rottweilers, are more genetically predisposed to be aggressive, the vast majority of dog attacks still result from poor owners who don’t take the time to properly train their dog. We must remember that while dogs are man’s best friend, they’re still technically wild animals. Attending training classes and properly socializing them with other dogs at an early age will ensure good behavior and a better relationship with your dog. The Canadian province of Ontario passed a pit bull breed ban in 2005 that was intended to slowly eradicate them from the area and cut down on overall attacks. Since the ban was enacted, dog bites have actually increased instead of going down. The year the ban was enacted, 200 more dog bites occurred than the year prior. Based on the data from such areas as Ontario, it would suggest that breed bans do not work. Instead of pit bulls being the #1 breed that bites, German Shepherds are now at the top of that list. Perhaps instead of implementing outright breed bans, the focus should shift to correcting the bad behavior of dog owners? What to Do If You’ve Been Bitten? If you have been bitten by a dog, seek medical attention as quickly as possible. Dogs can carry rabies and other diseases that may take a few weeks to manifest. Be sure to call the police and ask them to make a report, even if you feel that the bite was not severe enough to warrant medical attention. Finally, give us a call at (253) 472-6000 to speak to one of our personal injury attorneys. At Evergreen Personal Injury Counsel, we’ve helped countless dog bite victims seek justice for their injuries. Call or contact us today to speak to one of our attorneys regarding your injuries and what options are available.